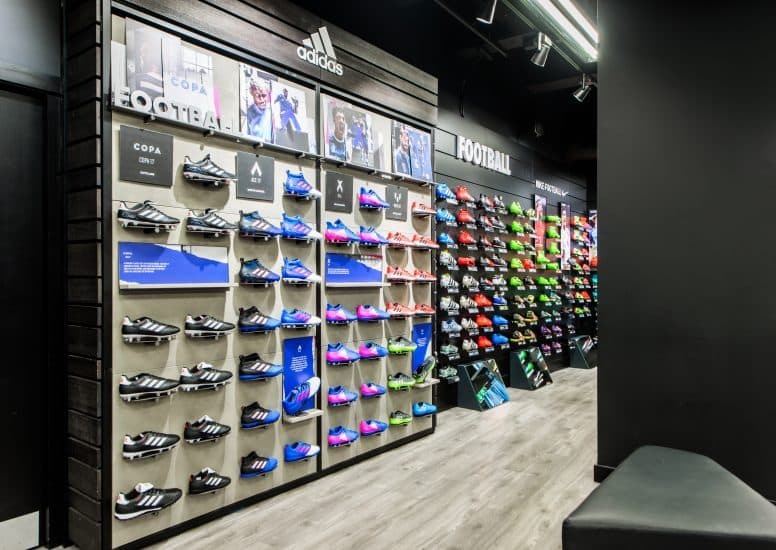 This week, we discuss the adidas Copa bootwall story! 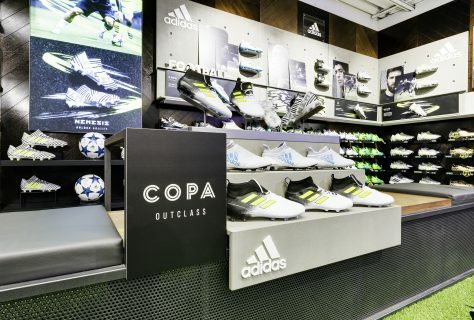 We collaborated with the adidas team to implement their latest campaign: the Copa footwear range. 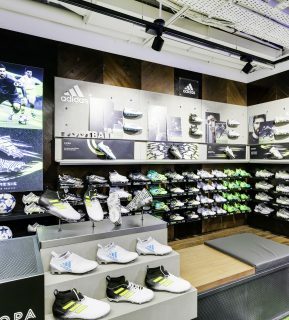 Not just a singular installation – the Copa bootwalls were implemented in 79 premium adidas locations across the UK and Ireland; including Harrods 5th Floor and the Manchester United Club Shop. However, it’s not the amount of installations that become the crux of our project story; it is the variance in design from location to location. 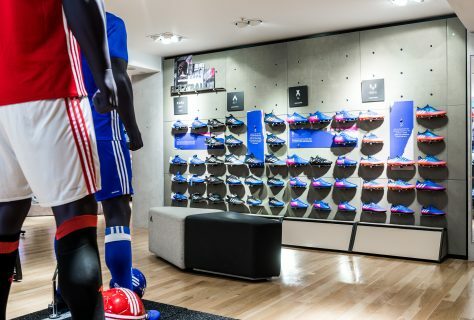 A visitor to each space would recognise the new adidas global fixtures, especially the recognisable concrete effect design. 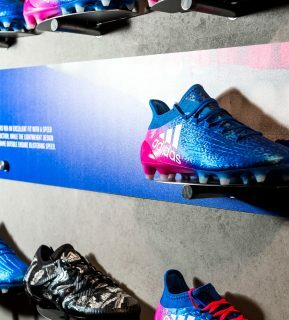 But in addition to these global designs, our own bespoke fixtures – designed and manufactured by D4R – can be found incorporated into the boot walls. 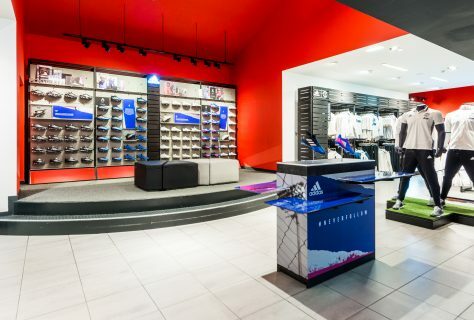 Each location has a slightly different finish, adhering to the adidas guidelines but also pushing the boundaries a little when it comes to design. 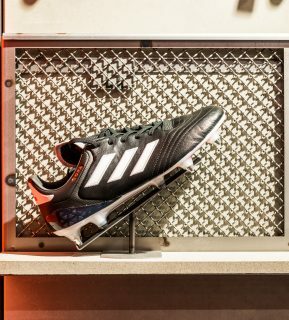 The story of this project is a collaborative one and we hope to share plenty more projects with this ever-evolving sports brand soon.